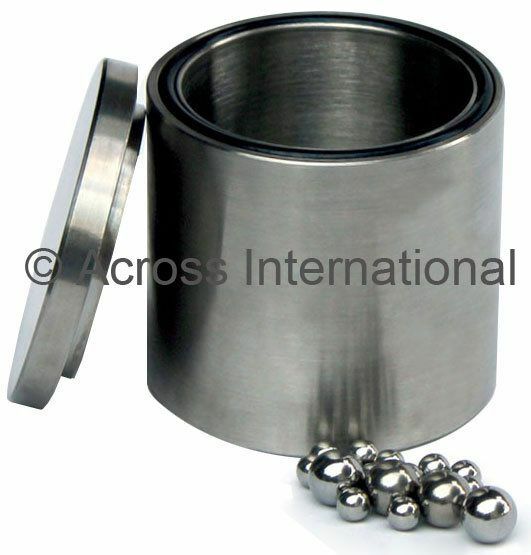 Polished 100mL stainless steel (grade 304) grinding jars for planetary ball mills. Each jar set includes grinding jar, lid, silicon sealing gasket and a mixed sizes of stainless steel grinding balls (see detail table below). Polished 500mL stainless steel (grade 304) grinding jars for planetary ball mills. Each jar set includes grinding jar, lid, silicon sealing gasket and a mixed sizes of stainless steel grinding balls (see detail table below). One liter polished stainless steel (grade 304) grinding jars for planetary ball mills. Each jar set includes grinding jar, lid, silicon sealing gasket and a mixed sizes of stainless steel grinding balls (see detail table below). 3-liter polished stainless steel (grade 304) grinding jars for planetary ball mills. Each jar set includes grinding jar, lid, silicon sealing gasket and a mixed sizes of stainless steel grinding balls (see detail table below). 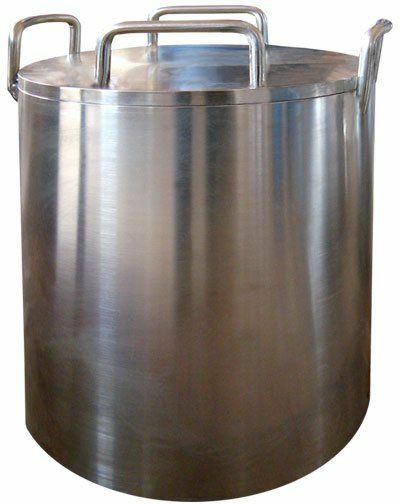 5-liter polished stainless steel (grade 304) grinding jars for planetary ball mills. Each jar set includes grinding jar, lid, silicon sealing gasket and a mixed sizes of stainless steel grinding balls (see detail table below).